Everyone trembled at the mere mention of the name of Anne of the Isles. The blood of Joël Braz the warlock ran in her veins. She was a priestess and a sorceress. Woe betide any man whose path crossed hers! Thank you, Belles-de-Nuit, gentle spirits that the mercy of God allows to wander in the poor by-ways of Brittany! 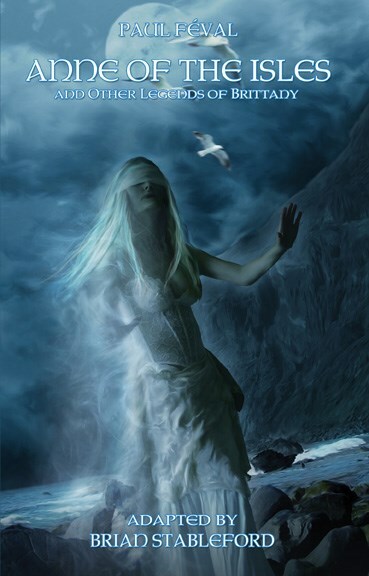 Anne of the Isles, last priestess of the Celtic Gods... The vengeful White Lady of the Marshes... The last fairies of mythical Lyonesse... Only Paul Féval, the author of Vampire City and Revenants could paint the epic Gothic fantasies of mist-shrouded, storm-beaten Ancient Brittany with so much color and flamboyance.